Heard a friend forgot his passcode last week and I was dazed. My thought was; how’s that even possible? These are devices most people touch 2617 times daily according to Dscout Research. It’s that scary. The story took another twist when I was informed he made the change under the influence of booze. Our good friend wanted a cover-up but was busted. To come to the point, anyone could be a victim; however, the story might never be similar. The bigger challenge here’s, most importantly, how to unlock iPhone passcode without losing data. Part 1: Is Possible to Unlock iPhone Passcode without Losing Data? Is Possible to Unlock iPhone Passcode without Losing Data? The answer to the question above is a rhetoric - it’s YES and NO altogether. Interestingly, the result depends on modus operandi when it comes to the question of how to unlock iPhone passcode without losing data. No: There is no any way to unlock an iPhone without erasing all the data on it. Yes: If you’ve backed up your data on iTunes or iCloud before. Or if you can back up your data with iTunes after you forgot your passcode. If you have backed up your data to iTunes or iCloud before, then you can go to unlock your iPhone directly. If you don't have backed up yet, continue reading. Click the Device icon on the left side of the iTunes window and then select Summary on the sidebar. Note: You can still back up your data to iTunes even if your iPhone is disabled. For iOS 11.4 and earlier version, you can just connect your iPhone with iTunes that you have synced before, then you can back up your iPhone. For iOS 11.4.1 and later version, please make sure that you have turned on the USB Accessories on the Settings, then you can back up with iTunes that you have synced before sucessfully. After you know the first step of how to unlock iPhone passcode without losing data, now here comes the second step of it – unlocking. 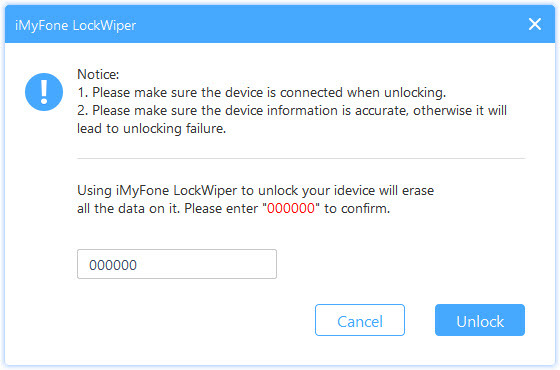 There’s a simple, secure and faster technique unlocking tool – iMyFone LockWiper. It’s an easy breezy; the tools get the unlocking done in a few clicks. That’s when people download iMyFone LockWiper. 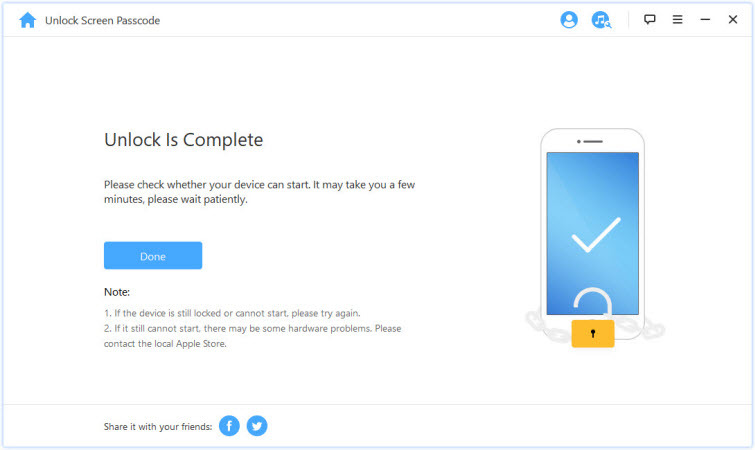 It’s an unlocking software tool trusted for unlocking iPhone without data leaks or loss. It’s the most trusted to open four different lock setups: 4-digit, 6-digit passcode, Touch ID and Face ID. 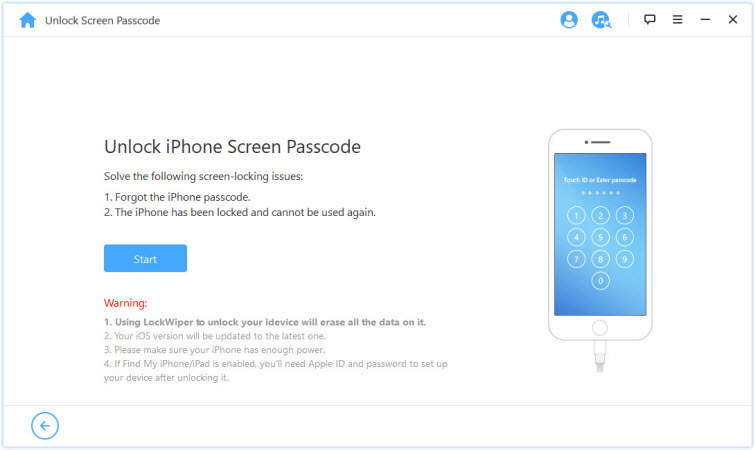 If your iPhone has been locked out by an unknow Apple ID, you can let iMyFone LockWiper help you remove the Apple ID when it is already activated.. It can help you remove iPhone screen lock without a passcode in just few minutes. It can unlock different type of passcode like 4-digit / 6-digit passcode, Touch ID & Face ID and even unlock Apple ID without knowing password. Support locked, disabled, broken screen iPhone/iPad/iPod Touch. 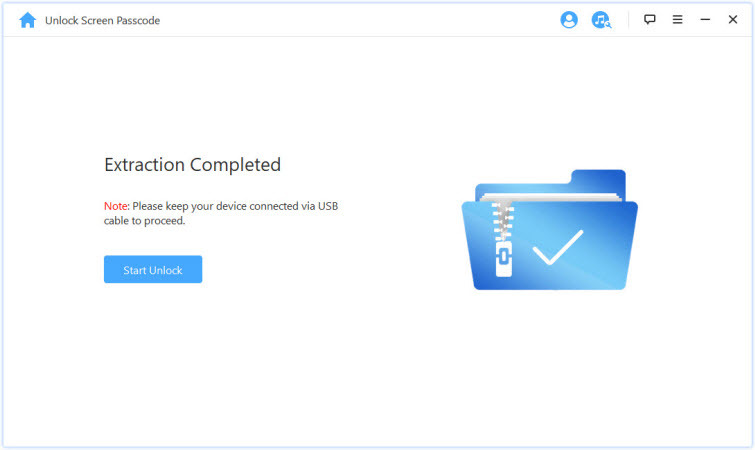 Step 1: Download, install and launch LockWIper on your Mac or PC. Click on “Start” to begin the unlocking process. 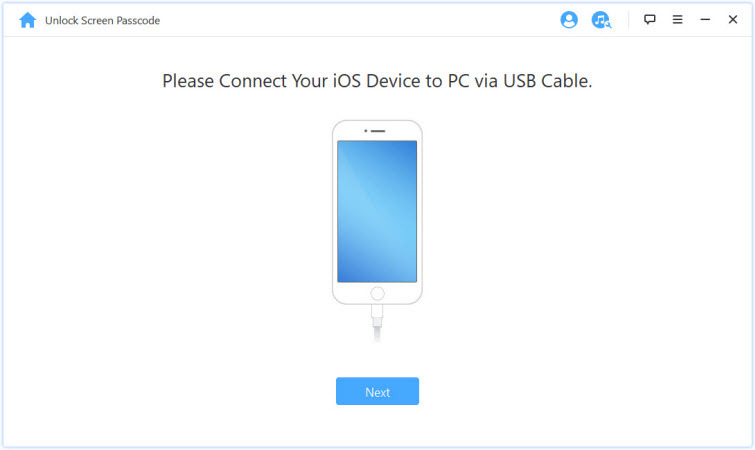 Step 2: Connect your iPhone to your PC and click Next to continue. 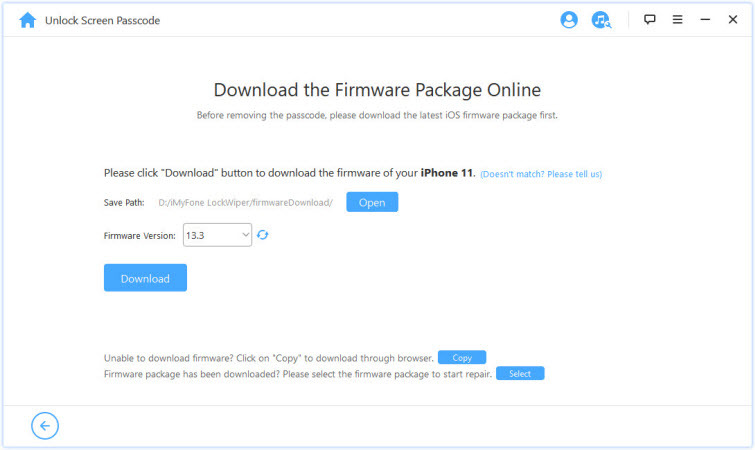 Step 3: Download firmware package and verify it in the next step. Step 4: After the extraction completed, click "Start Unlock". Step 5: Enter “000000” to confirm and start the unlocking process. Step 6: Wait the process to finishe and your iPhone will be unlocked successfully! After you unlock your iPhone successfully, the last step to unlock iPhone passcode without losing data is to get your data back on your iPhone. 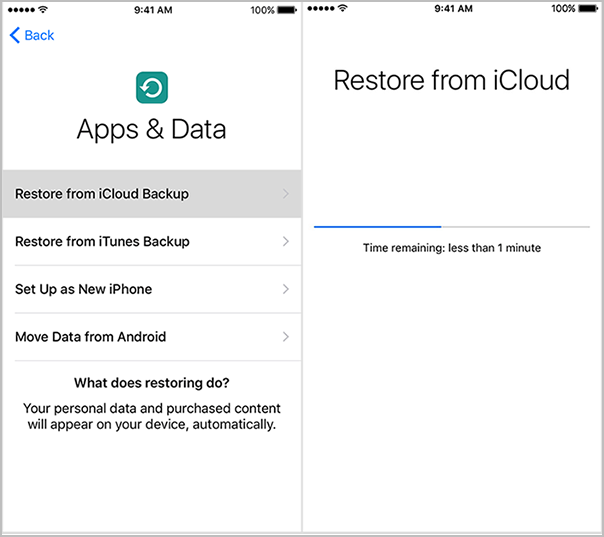 You can choose to Restore from iTunes Backup or Restore from iCloud Backup, which depends on where you have your backup on, then you can follow the below steps to continue. Step 1: Choose Restore from iTunes Backup. Open iTunes on the Mac or PC that you used to back up your device. Step 3: Select your iPhone, iPad, or iPod touch when it appears in iTunes. Step 4: Select Restore Backup in iTunes. Look at the date and size of each backup and pick the most relevant. Click Restore and wait for the restore time to finish. Step 1: Make sure your iPhone is connected to Wi-Fi. 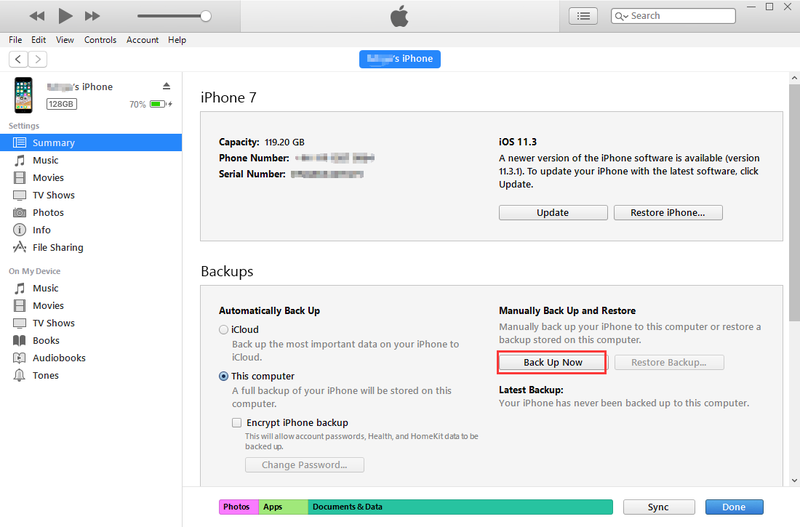 Step 2: Reach the Apps & Data screen, select the option Restore from iCloud Backup. Step 3: Enter your iCloud account (Apple ID) and password. Step 4: Choose the recent backup you wish to restore to your iPhone. Step 5: Enter any passwords required when prompted and wait until it finish. If you ever get into a similar situation as my friend, I’m sure you know what to do. Trust iMyFone LockWiper to support you all the way. What am I missing here? Let me know in the comments, and I'll add it in!